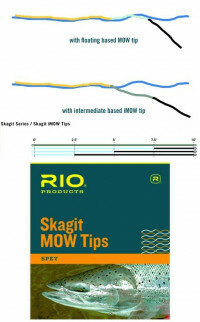 Rio Skagit MOW Tips provide convenience and efficiency. MOW tips are ready to fish, straight out of the package. Loops are on both ends so you can attach your MOW tip to your Spey or Switch fly line, and then attach a leader to the MOW tip, in seconds.